ISFOC, Institute for Concentration Photovoltaics Systems, company incorporated in the Instituto de Finanzas of Castilla La Mancha Group, was created to promote a new technology: concentration photovoltaic (CPV). ISFOC is the result of the R&D plan promoted by the Institute of Solar Energy from the Universidad Politécnica de Madrid together with the Castilla La Mancha Government, thanks to a loan granted by the Spanish Ministry of Education and Science (currently Ministry of Science and Innovation) with very advantageous conditions. The R&D program which explains ISFOC’s guidelines was written by the Institute of Solar Energy together with the Ministry of Education and Science in 2005, after a long maturity process during which CPV technology had only been an idea and had not gone further from the experimental area. 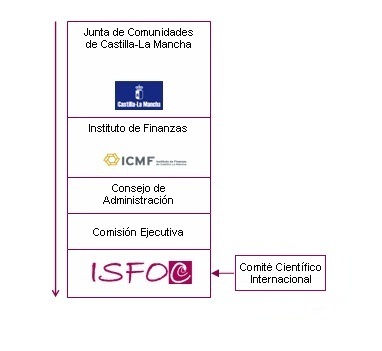 In 2006, ISFOC was born and its headquarters were located in Puertollano, Ciudad Real. Then, it was hired a group of experts that would work to become true the CPV implementation, starting with the acquisition of different CPV plants that would be installed in demonstration fields, as well as the acquisition of means to evaluate their behavior. Currently, ISFOC has at its disposal several demonstration plants with different technologies that provide very valuable information to CPV manufacturers, investors and the large scientific scene. ISFOC facilities are composed of laboratories fully equipped to test the different components of the plants. Besides, ISFOC staff, consisting of 16 professionals, has developed some knowledge that, together with the installations and the demonstration fields, has made ISFOC become a world reference in the CPV study being its results published worldwide.